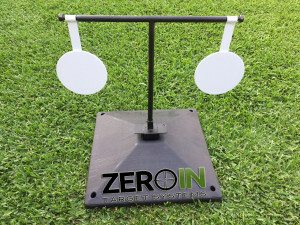 Plinking is one of the best ways to pass time and teach the younger (and older) generations to shoot and always adds an element of excitement hearing the ding when shooting at distance. 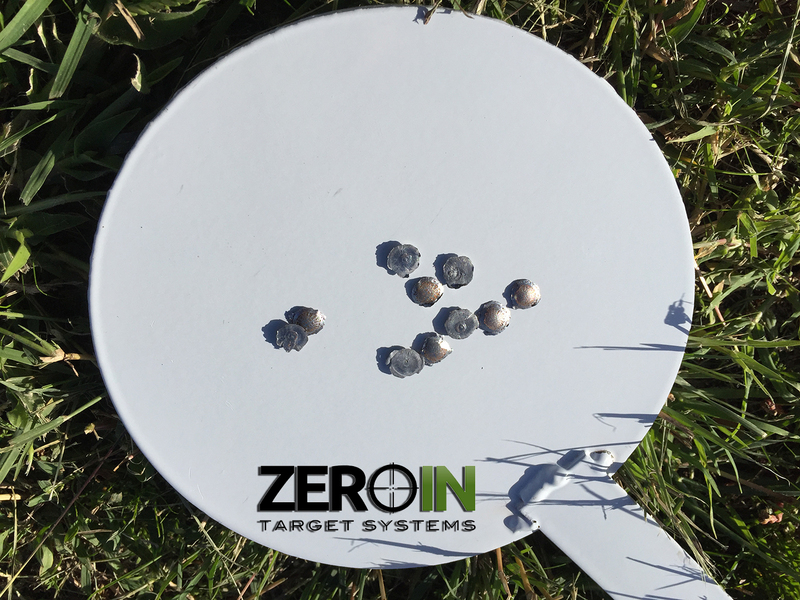 Zero In Target Systems have developed a very sturdy and well engineered plinking platform that inserts into an existing Zero In target base or on top of the target panel, the two targets are 150mm (6″) hi-vissteel disk targets specifically designed for rim-fire ammunition. 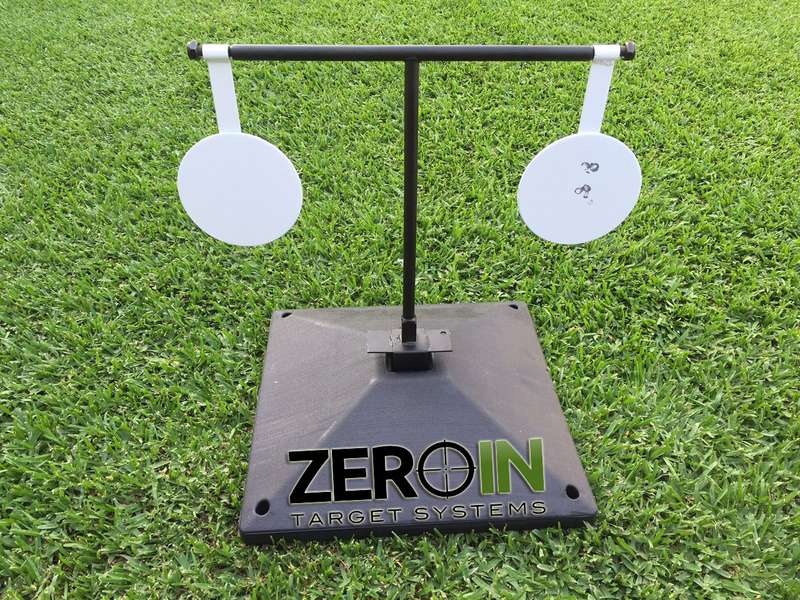 On arrival to our block we had the Zero In Plinking target setup in under 2 minutes with the base quickly pegged down we were ready to have some fun and see how the target system performs. 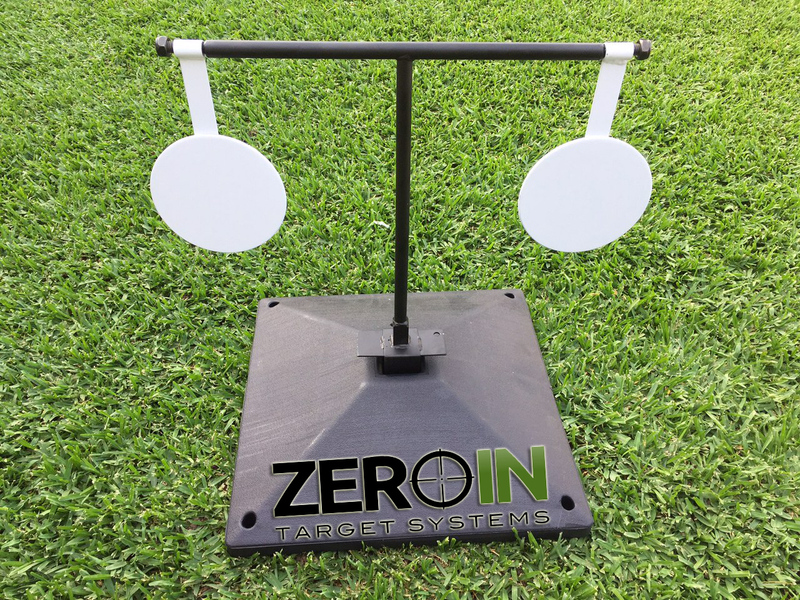 If you already have a Zero In Target panel the Plinking Target can attact to the top so after you have sighted your rifle or hand gun you can plink away! Ammunition used for this test was a mixture of Remington, Winchester, CCI and Lapua in .22 calibre and Hornady .17hmr. A total of 150 rounds were sent downrange and the target barely shows any sign of wear apart from cosmetic paint loss, we repainted the target with construction line marking pressure pack paint due to the fast drying time and this brought the target back to use within 5 minutes for the next round of shots. Please note this is a Rimfire only target and not designed for centrefire calibres. 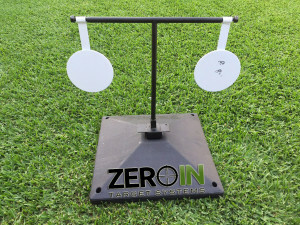 Now this is where the target system performed well, we had cardboard propped against each side and observed no ricochet in any other direction than directly down due to the free swing action and as you can see we were able to recover a large portion of the rounds fired from the base of the target. 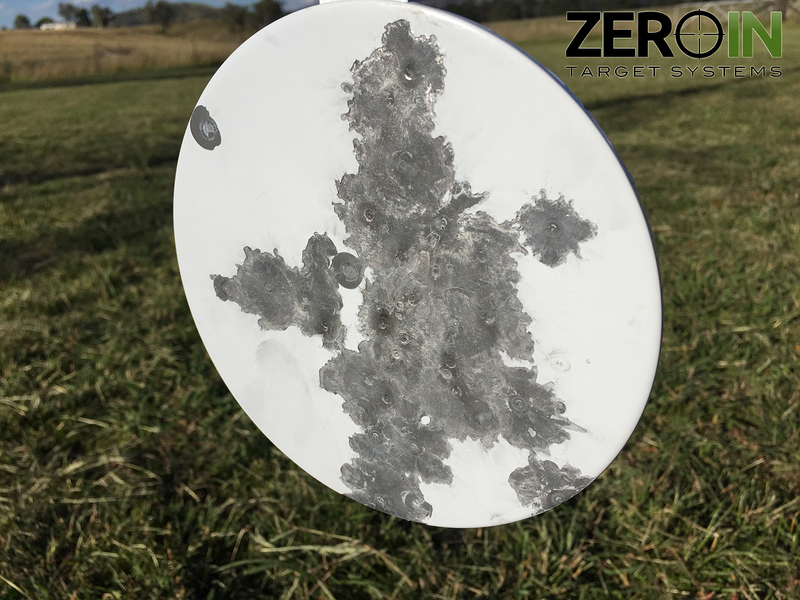 This is an area some shooters fail to take into consideration is where their projectile can end up without a proper swing plate, and Zero In Target Systems have helped remove this element so you can enjoy your plinking with mates.